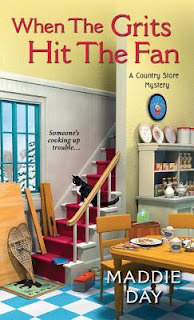 By Book or by Crook by Eva Gates - 1st in a cozy mystery series and one that I picked up last month when I was at a local Goodwill. I loved the sound of it and decided I didn't want to wait long to give this series a try! Leave the Grave Green by Deborah Crombie - 3rd book in this mystery series and also from my own shelves. I read the first two books in this series a year or two back and just adored them. I've been meaning to continue on with this series every since so in March I'm hoping to do exactly that. I've got really high hopes for this one! The American Girl by Kate Horsley - This is actually a recent library find that I was so intrigued by. I picked it up on a whim and read the back....and just like that I knew it was coming home with me to be read as soon as possible. I love when I find new to me books like this! Someone Must Die by Sharon Potts - Another Goodwill find that I couldn't resist bringing home with me (I've already brought a ridiculous number of books into my house in 2017 but that's another story). 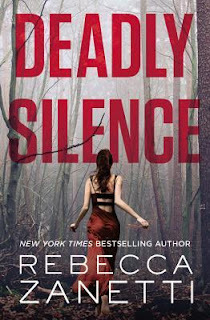 I really like the sound of this one and couldn't resist adding a thriller to my pile of reads. It sounds right up my alley! Elizabeth is Missing by Emma Healey - This is a review copy that has been sitting on my shelves for way too long. I keep saying that I'm finally going to get through some of these older review copies- maybe this month will be the month that I actually do just that. It sounds intriguing! Never Tell by Alafair Burke - Another aged review copy. And I love Alafair Burke so I have no clue why I haven't read this one yet. Obviously that needs to change and soon. I'm really looking forward to this one as I haven't read a bad book by this author yet. The River at Night by Erica Ferencik - This was a Goodread's win that I just recently received. I've seen some really great reviews for this thriller so I'm super excited to have the chance to read it! I will definitely be squeezing this one in before March ends. Origin in Death by J.D. Robb - Off of my own shelves and the next book (for me at least) in the In Death series. Enough said! 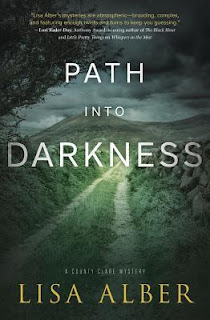 Path Into Darkness by Lisa Alber - NetGalley review copy and that cover alone had me adding this book to my TBR list. The description had me requesting this book as fast as I could (despite the fact that I really, really don't need to be requesting books from Netgalley). I'm really looking forward to giving this author a try! The Lost Children by Helen Phifer - This author has been on my radar for awhile now so I jumped at the chance to read this one (also courtesy of NetGalley). I love the sound of this book as well and cannot wait to give it a try. This publisher is one of my favorites for a thrilling read so I can't wait! Hard-Hearted Highlander by Julia London - I recently read and enjoyed Sinful Scottish Laird by this author. This is the next book in the series and one that I'm reading for another TLC book tour that is coming up in April I believe. I enjoyed the previous book so much that I'm really looking forward to this one! I also am hoping to read ahead so I'm adding this book to March's TBR pile. 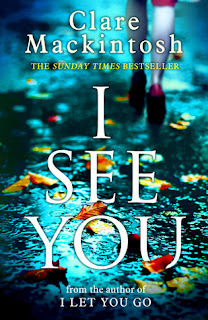 I See You by Claire Mackintosh - I have heard SO MANY great things about this author and her books. I simply must finally see what the hype is all about! I know next to nothing about this book other than it is a thriller and that readers are loving this author a lot. I can't wait to give this book a try! 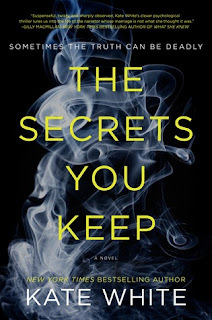 The Secrets You Keep by Kate White - I've loved this author's books in the past so I'm super excited to have her newest book on my e-reader. She always writes page-turners and that is exactly what I'm in the mood for. I keep saying this but I cannot wait to read this one as well! So many books, so little time! Deadly Silence by Rebecca Zanetti - This is the beginning to a new romantic suspense series. I really don't read enough books like this so I'm really looking forward to giving this book a try. Plus that gorgeous cover really helps! I have high hopes as I've read a different book by this author (also a 1st in a different series) and really enjoyed it. 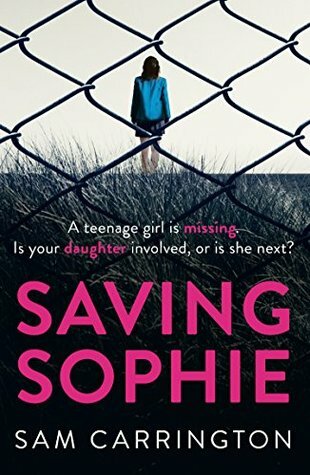 Saving Sophie by Sam Carrington - I knew as soon as I read the description of this book that I wanted to read it. Somehow it got pushed to the side for other books though and I'm just now adding it to my reading pile. 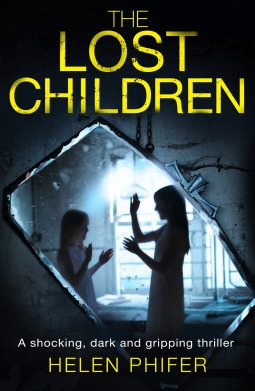 Also a thriller but this one sounds like it focuses more of family relationships. I can't wait to begin! When the Grits Hit the Fan by Maddie Day - 3rd book in one of my favorite cozy mystery series. I seriously stalked NetGalley for this book because I wanted to read it so badly. I actually just shared my thoughts on the 2nd book not that long ago and that got me even more excited for this book. I CANNOT WAIT! So many books here! So many books that I really, really want to read right this minute. 2017 has been a bit of a slower reading year so far for me. I'm already two books behind on my Goodread's goal. Obviously I need to stay off Facebook and Litsy more which will help me not to be so distracted and give me more reading time. I just love Litsy so much though!! Maybe March will be the month where my reading year starts turning around. I sure hope so because I really want to read all of these and that isn't including all of the other books that I wanted to read in the past two months that I haven't gotten to yet. A girl has to dream, right? What books are you hoping to read in March? Have you read any of the books that are in my reading pile? If you have feel free to let me know your thoughts or tell me which ones I should read next. Happy reading! Hope you get to some great reads this month! OK, let's see - I've read I SEE YOU (really suspenseful!) and LEAVE THE GRAVE GREEN (Crombie is always wonderful). I have the Lisa Alber book and also the Kate White book. Oh, and I've also read THE RIVER AT NIGHT. Very much the adventure book. I think I own a couple more of these, but I just want to wish you good luck. Happy reading! Glad you guys are well again! Kay- We have such similar reading taste :) I'm glad to hear that you enjoyed so many of these. You are making me even more excited to read them!! Sam, I admire your enthusiasm and reading gusto! Have a great reading month. I know you are trying to stay away, but I like the sound of Litsy. Suko- You would probably love Litsy! I have to admit that it is my new favorite go to for connecting with out book lovers. Try it out! Hope you get to a lot of your reads - there are a lot of great thrillers on your list! Iliana- I'm taking a couple of weeks off blogging and working on pre-scheduling some posts instead. Hopefully that will give me more wiggle room when I don't have a weekend where I can write up posts for the blog.